"A rich and beautifully crafted introduction to American quilts from the Colonial period to the present, Shaw's American Quilts offers an engaging and sophisticated synthesis for readers who wish to learn about the art of the quilt in its many contexts. Shaw (formerly, Shelburne Museum, VT) offers an introduction that neatly sets the stage for 14 chapters, each focused on an aspect of the quilting arts associated with a given time period. His writing strategy effectively lends contextual clarity to an art form marked by extraordinary diversity. "The Golden Age of Appliqué, 1840-1860," for example, incorporates a discussion of westward expansion, and "The Great Revival, 1970-2000" links quilting to the larger contexts of the US Bicentennial, heritage studies, and shifts in the contemporary art world. 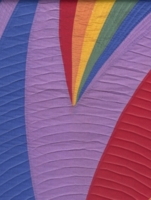 Full color illustrations, individual quilt histories, a bibliography, and a guide to collections render American Quilts a book of exceptional utility as a starting point for teaching, design, and research. Ultimately, Shaw's narrative is what makes this book an enduring work. Readers new to the field will discover the quilt as a remarkable art form; readers knowledgeable in histories of the quilt will discover fresh information and insight. "Surely the most important quilt book ever! I hope it will get people talking more about quilts as art." "American Quilts: The Democratic Art is so outstanding that words practically fail me. Robert Shaw's writing, as always, is eloquent and enjoyable, and the quality of the photography (so sharp and consistent!) is a joy. I thought Bob had pretty much covered 'definitive' with his previous writing about quilts, but he has re-defined definitive with this wonderful new book. It is just amazingly good!" 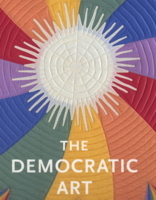 "American Quilts: The Democratic Art is a fascinating read and an excellent addition to the history of quilt making. This book, thoughtful and well researched, simply exudes an energetic clearness about makers and their works, decade by decade, epoch by epoch. Beautifully printed on heavy stock with clean, clear, sharp color images, the book is chock-a-block with quilts, many new, never seen or rarely seen; their images are printed large, filling entire pages. It is thrilling to see so many quilts not encountered before! There are quilts with such fresh imagery no matter when made and quilts so inspirational in concept that any of them cannot fail to renew one’s enthusiasm and love for this medium. In addition, considering how rapidly the contemporary movement is developing, often overshadowed by commercialism, one cannot fail to appreciate more than ever that there is still a human being (Robert Shaw) who knows and can write about the history of the contemporary movement from its infancy."